The Nebraska Forest Service and Nebraska Statewide Arboretum provide key services to municipalities, green industry professionals and community tree advocacy groups and organizations. 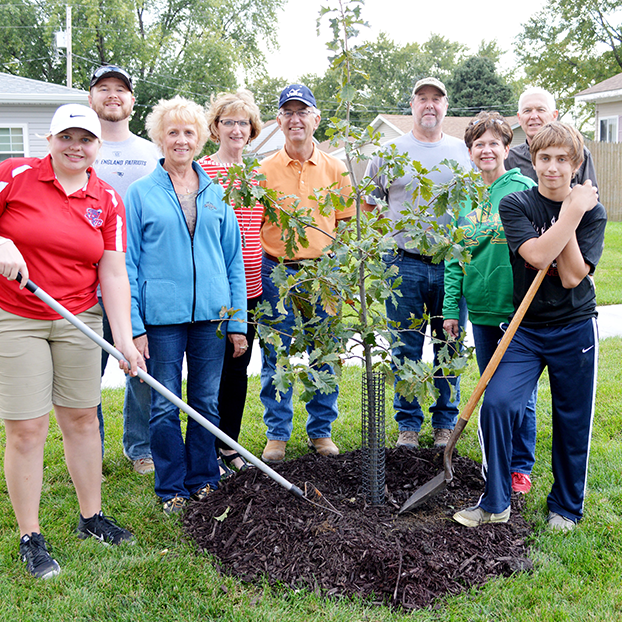 In conjunction with ReTree Nebraska Week, up to ten trees are awarded to qualifying community planting projects. Because of popular demand, trees are awarded on a first come, first serve basis. Projects must be located in Nebraska and focused on a property of civic importance and that provides clear public benefit. Eligible planting sites include street right-of-way, parks, school grounds, college campuses, the grounds of civic buildings, recreation areas, common areas, and cemeteries. Trees can be planted in front and side yards of private property if they will help shade public streets and sidewalks. Grant applicants must represent a group or organization. Residents of Pender completing the third phase of revitalization to the city's street trees. Collaborating with communities and not-for-profit organizations to implement sustainable public landscape projects in town. Planning assistance, educational resources, and cost-share funds are available to help support these projects. Participants are reimbursed up to $25,000 for 50 percent of their project expenses, which may include the value of donated and in-kind goods and services and volunteer labor. At least 70 percent of cost-share funds must be used for plant material and site preparation and supplies necessary for its survival. Up to 30 percent of cost-share funds can go toward project design, educational signage, and hardscape material.